Hellmouth Couloir is the thin aesthetic line dead center on Alex Lowe Peak. 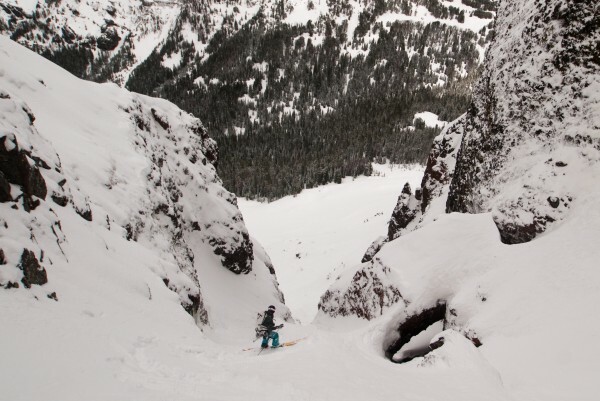 In the Spring of 1997 Alex Lowe and Hans Saari made the first descent of an anemic ski line they nicknamed “Hellmouth Couloir” in the Gallatin Mountains of Montana. For years the exact location of this line had been lost and it gained mythical status. On September 15th 2005 a peak in the Gallatin National Forest was named “Alex Lowe Peak” for the memory of Alex who had unfortunately passed October 5, 1999 in an avalanche on the slopes of Shishapangma in Tibet. It was then unveiled to many that the Hellmouth Couloir was located on this peak. 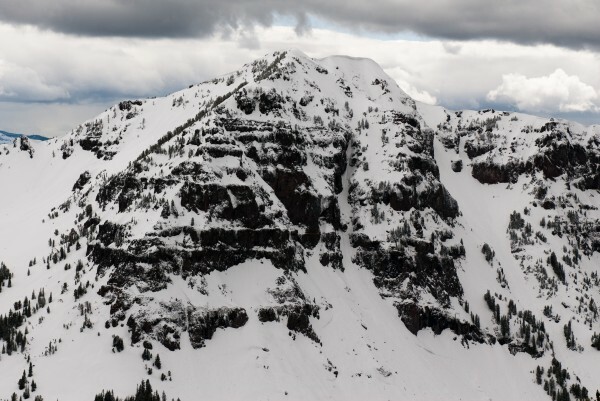 Kyle and a partner through research found a Summer photo of the peak and along with a brief description that Saari and Lowe had made they discovered the location of the line. 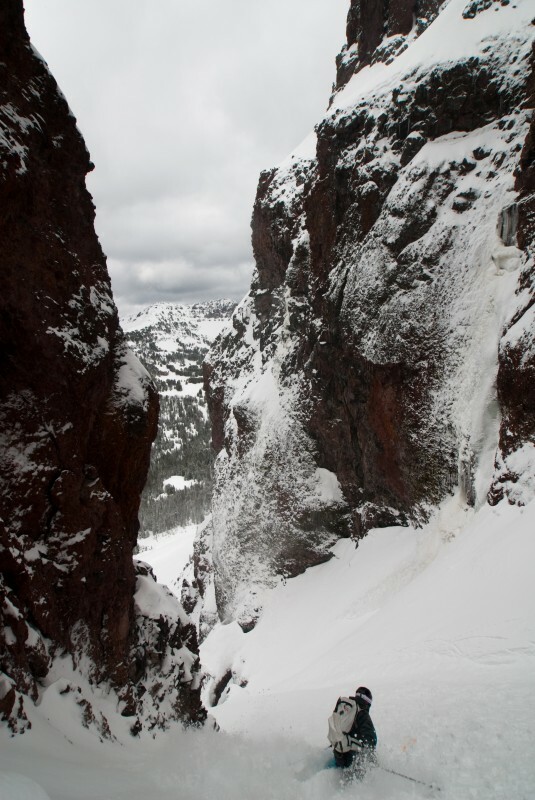 Then in the Winter of 2006 they made the second known descent of Hellmouth Couloir. Over the past 4 years a few others have made the descent. 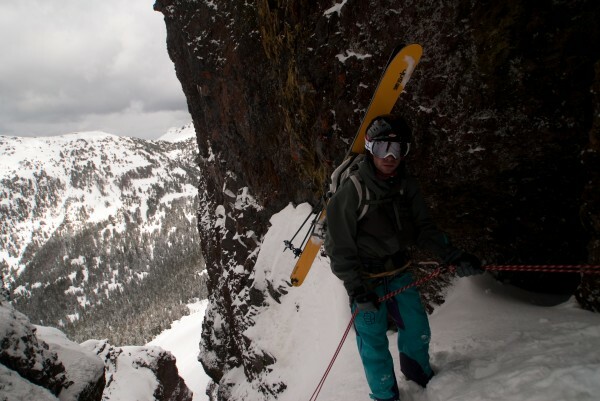 Kyle has visited the area many times since 2006 but has been unable to make another descent of the couloir. Jump to present day. Kyle just got back from a month long ski expedition in the Fairweather Range of Alaska and asked if I was in for an attempt on Hellmouth. Being a glutton for punishment and maybe a little foolish I agreed to his proposition. For the last day in May we were surprised at the Winter like conditions, especially below the saddle between Blackmore and Elephant Mountain on the 7 mile approach. At the saddle you get your first view of the peak and you quickly understand why few have gone for this descent- it’s intimidating! Our view is partial due to weather and in retrospect this may have eased my anxieties a little. From the saddle we descended and crossed the valley between Blackmore and Alex Lowe Peak. The snow turns out to be better than expected and we gladly milk out every last inch of momentum before putting skins on again and making our ascent. We choose to skin up the East face of the peak keeping distance while we make our way through a choke. Conditions were stable but- safety is no accident- so we proceeded with caution. Eventually we gained the ridge, here we removed our skis and carefully kicked steps to the summit, exposure here is pretty intense and any slip is pretty much out of the question. The author making turns on the upper snowfield. A quick celebration leads straight to preparation for our descent. At that moment I was very glad that Kyle was with me because the entrance to the couloir is somewhat blind, on a very exposed hanging snowfield any error here may led to you being flushed off the 1000’+ cliff. Despite the exposure the skiing is good which gives us both a touch more confidence. At the bottom of the snowfield the couloir begins and we set our sites on a tree sitting on the lip of the first cliff, which is the first of two consecutive rappels. Fortunately the anchor was fresh, but being leery I backed it up with another sling and descended into the Hellmouth. After the rappels we ski- conditions are tricky, a double fall line with a touch of avy debris from a previous slide. Descending a couple hundred feet an interesting feature of the line comes into view. A large chalkstone partially blocks the couloir leaving a “mouth” on one side and a tight choke on the other. The “mouth” agape seems to want to swallow you whole, digest you and then defecate your remains down the rest of the chute. Evidently you can ski under the chalkstone if conditions are right but we both opted for the choke. 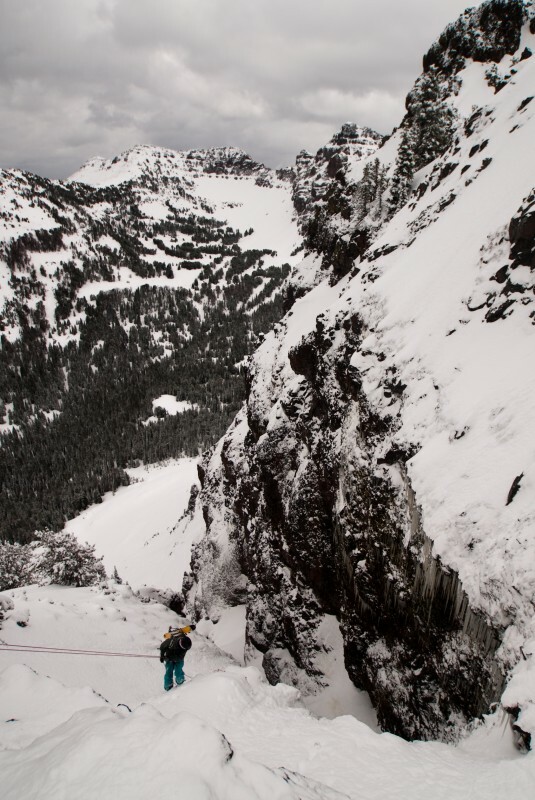 Once past the choke everything opens up and we exit the chute on a mix of pow and ice chunks from an old slide. Getting ready for the choke and dodging the "mouth"
It was here where a decision was made- or maybe I just let my big mouth flap. “Do you want to throw in Blackmore for extra credit?” The proposition tested the silence. Kyle being in uber-shape after Alaska was of course game. I soon would regret that statement. We put our skins back on and made our way back to the saddle. My legs were so fatigued and began to loose function as we climbed- almost seizing with every step. Once at the saddle I secretly hoped Kyle would want to back down- after all it was getting late. “So what do you think?” Kyle asks. I follow Kyle up the gentle ridge to the summit, my legs are screaming now like never before. Then we reach the summit and now that my body knows the goal has been reached the pain subsides. 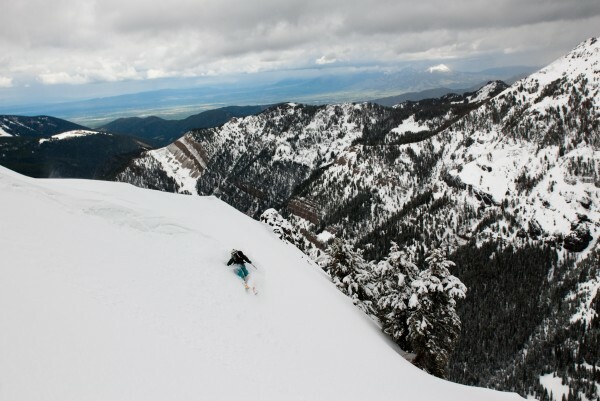 We drop off the North face ski one of the main lines then cut right hard hoping to catch the ridge. We gain it with little difficulty and then make our descent out to the truck, where two ice cold beers that Kyle stashed in the snow had been patiently waiting. It was no surprise that they were the perfect reward for a splendid two peak day.